Ever since I had kids, I've been keenly aware of the impact excessive screen time can have on children. My kids are happy to watch television or youtube videos any time of the day, much like the rest of the world, but I have discovered that they can be just as happy with many other things. Just tonight, they begged me to read "one more chapter" of a book we're reading together (even though I had already read two). It is impossible (and not necessary) to eliminate screen time altogether, but I do believe there are many other activities that can capture our attention just the same. Our latest review is about the Brinkman Adventures, an exciting radio show that chronicles real life missionary stories through the fictional Brinkman family. We were given Season 6: Underground Rising to listen to and enjoy as a family. My 5 and (almost) 8 year old have listened to all six episodes and have really liked every one. There are some serious themes and periodically there will be a warning to listen with your parents if you are under 10. The is a precaution I appreciate, not really because the stories are too intense. My kids are on the more sensitive side when it comes to sad or scary stories. One or both of them will be the first to ask to turn it off it gets remotely intense. The importance of the precaution is more about being available to answer questions or continue the conversation. 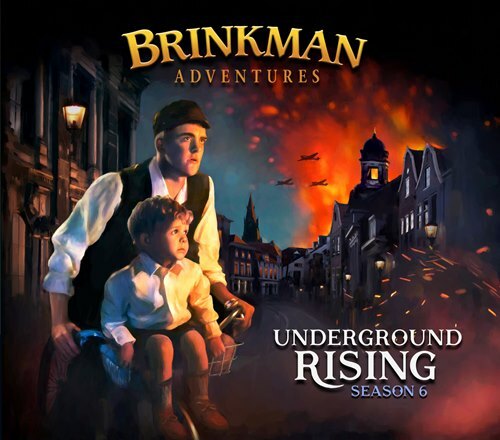 When I asked them if they liked the Brinkman Adventures and how it compared to other audio books/drama they have listened to, they decided they liked Brinkman the best for a few reasons. Music - They found the background music in the Brinkman Adventures to be just the right amount and the right amount of intensity. Fighting - In other stories they have listened to, there was a bigger focus on fighting (think battles, attacks with swords, etc.). Brinkman focused more on dialogue and what the people were doing. This (along with the music) kept the (negative) intensity at a minimum. Real life - While there is a lot of history being talked about, you also get plenty of modern day living. This makes it more relate-able to their own life, I think. 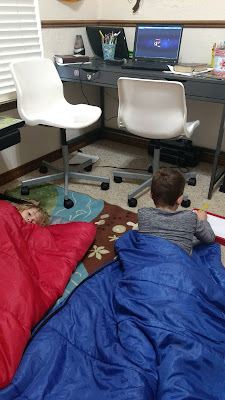 We listened to the episodes on our computer and after the first episode, they decided it was more enjoyable to listen in sleeping bags! We listened to Season 6, but that means there are 5 more seasons available. 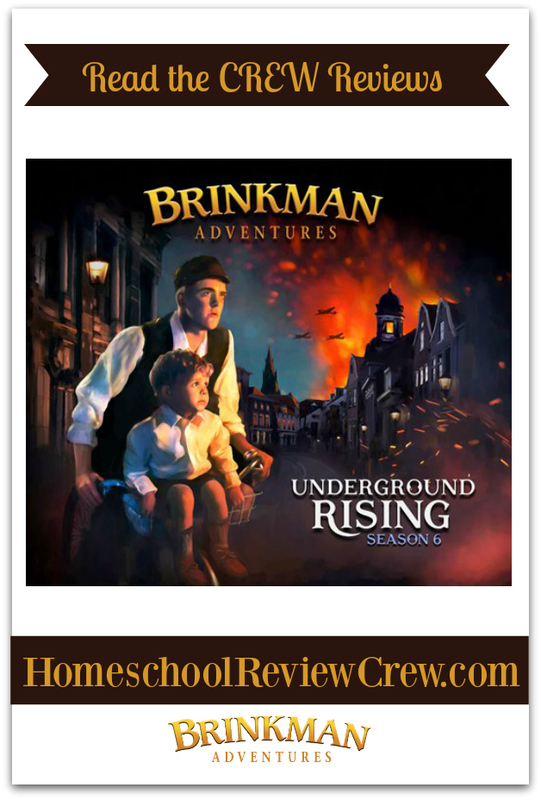 In addition to the physical CDs or digital downloads, there is curriculum available to use the Brinkman Adventures in a family or group setting. It definitely looks like an enjoyable way to dive in to scripture and real life issues in a different way. Most of it seems suitable for the 8-12 age range. They also produce a podcast that goes behind the scenes, sometimes interviewing the actors or the real missionaries themselves. While I have not experienced a missionary life on a foreign field, I have been taught by many who have, from the pulpit and friends as well. Considering yourself a missionary at home or welcoming the call to a foreign field is not something we pick up on television or in our mainstream culture. One of the important things The Brinkman Adventures does is it introduces the realities - and importance - of the missionary life into our families' perspective and vocabulary. 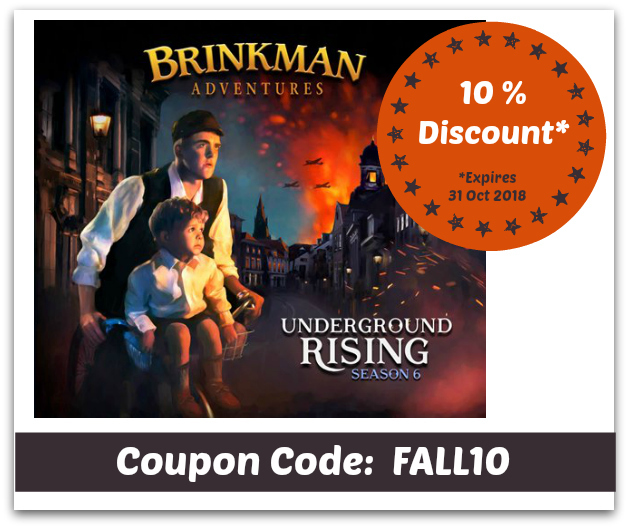 If you are considering purchasing The Brinkman Adventures, from now through the end of October you can receive 10% off your order with the code FALL10. If you're interested in an older child's opinion of this series, click on the image below to read other Crew members' reviews.